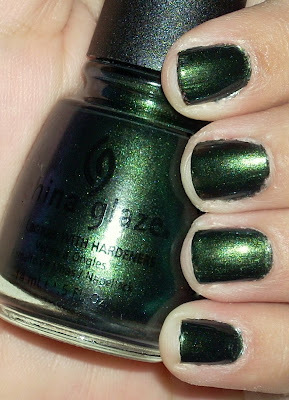 i love greens, as most of the nail bloggers do. idk why? i guess it's just a commonality we share for some reason. i for one blame ZULU! 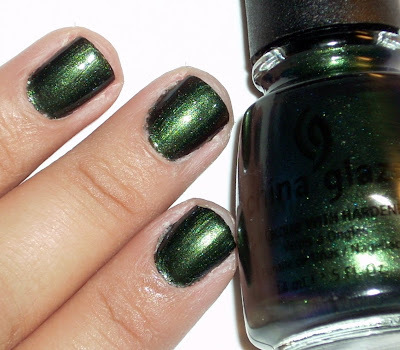 haha, anyway one of my new favorite greens has got to be this one, china glaze's gussied up green from the rodeo diva collection. sooo pretty!!! it's a dark emerald that shimmers as if it's life depended on it. the polish just doesn't quit! i compare it a bit to sally hansen's insta dri jumpin' jasper but this is warmer. this is two coats with seche on top. 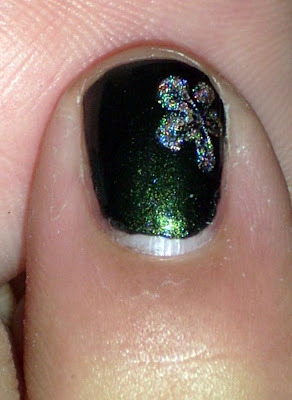 and i took pictures without cleaning my cuticles first can you believe it?! oh the horror. 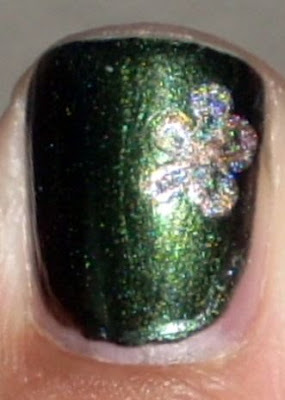 i put some deco flowers on the ring and thumb nails, using a technique i've seen on a few youtube vids (namely julieg713) using opi's DS design. 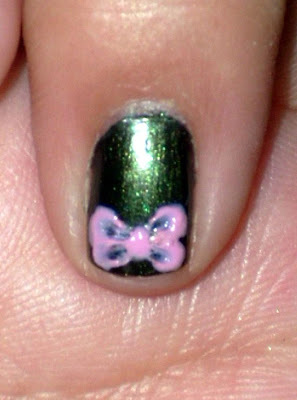 also i didn't walk around with this but i tried a bow using the same type of technique as the flowers (see it HERE by Naritaz) on my pinky nail using opi's i'm ok, you're bouquet just to see if it would turn out or not. and it looks ok, but it was just for practice, so i thought i'd show ya! anyway, my posts might get spaced a little further in between since my classes have started up again, but i will keep posting nevertheless :) so stick with me k my dears ♥ ya!